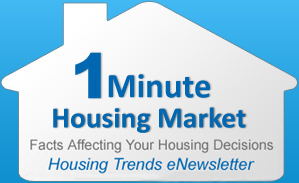 Here’s the most current Housing Trends eNewsletter. In this eNewsletter you can access national and San Antonio housing information that you may find useful whether you’re in the market for a home, thinking about selling your home, or just interested in homeowner issues in general. Want to determine the value of your home? Click here for the “Home Evaluator” link for a free evaluation report. Sound decisions can only be made with accurate and reliable information, and I am happy to be a trusted resource for you.